Get High Quality Stock Images! Big Kodak Prints or Canvas! Sell Your Photos it's FREE! Register for free and use this great services! I started shoting with a Yashica FX3, totally manual; following the wise adagio: learn from your own mistakes. Almost at the beginning I wanted to get a new camera body, the Yashica FXD, soon replaces by a Contax RTS Quartz II, that gave me so many satisfactions, especially on macros, using the great Tamron SP 90 macro f./2.5. The default commission to photographers is raised to 65% on every download sell! Starting from today each photographer can fix the prices. Yes, you got it, the commission has been raised at a fixes 65%, without considering the number of downloads sold. 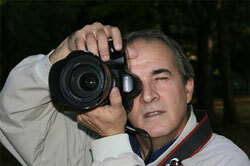 In this case the gain for each photographer will depend only on his/her talent and quality of works presented. Starting from today we give the possibility to every submitter to fix the price for every single shot, everyone will give the desidered value to his/her own photos. The system will continue to offer its default values in case no changes are desidered. Can I be a photographer and sell my images? Of course YES! To do that you have to follow some rules like submitting high quality images, being the author of the photos, being the owner, state that you will breach any other rights or copyrights and that you will not publish the same images elsewhere, neither on free distribution or colleting services like Flickr, for example. the posted photos are clearly stated as private, copyrighted, reserver or not free. To do that, for example in Flickr, you have to set it in your account preferences. DigitalBook.it is on the last Computer Arts magazine, italian edition, with a review and 10 photos from our catalogue as gift to the readers. The pictures, available inside the included cd-rom, can be used for any professional pourpose under the standard DigitalBook's license. More pictures to come on the next months, the photographer's name will always be included.